SHEAR MADNESS QUARTERLY CHALLENGE #20: “GOLD” – Shear Madness! This challenge is for all costumers of all levels and all genres! Give your costume the Midas Touch! Both metallic gold or shades of yellow count! The submission deadline is APRIL 1st, 2019 at midnight CST. 1. Any costume or accessory completed between January 1st, 2018 (last year) and the deadline of April 1st, 2019 qualifies! When you began your submission doesn’t matter as long as it was FINISHED within the time period of 1/1/2018 – 4/1/2019. The submissions window is open beginning January 1st, 2019 and closes on April 1st, 2019 at midnight CST. 2. Qualifying entries should feature the color gold. Both metallic golds and golden shades of yellow/brown count. The entire outfit does not need to be gold in color, but it should be prominent in the ensemble. 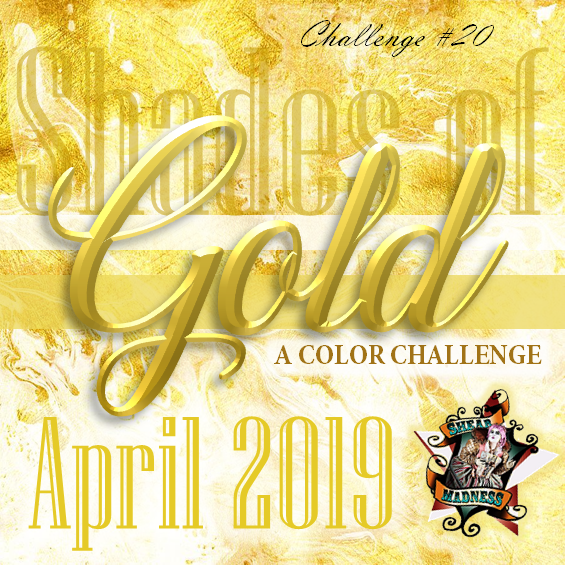 If you’ve made a Belle from Beauty and the Beast in the past year, for example, or a golden set of Worbla armor, this challenge could be the perfect opportunity to show it off! 3. This challenge is for complete costumes OR accessories like headpieces, hats, shoes, corsets, etc. for humans of all ages, genders, and sizes. Jewelry presented without an accompanying costume and costumes for pets, dolls, etc. don’t qualify for this challenge, but may in a future challenge. 4. 75% of the piece must be made or modified by you. 25% of your entry can be unaltered/purchased items. For example, if you purchase gladiator sandals to go with your goddess costume, they count towards the 25%, but if you bling them out with brass studs, they count towards the 75%. 5. We want to see your creativity and hard work on display, not someone else’s! Recreations of fashion plates, paintings, digital artwork, etc. are perfectly fine, but if you do reinterpret or take inspiration from someone else’s previous design, please give proper credit to them in your submission description. If you are portraying a character, please include the character’s name and the title of the show/book/artwork in which they appear! before midnight CST on April 1st, 2018! —-> Submissions must include Your name, a TITLE for your entry, up to 5 PICTURES, and a DESCRIPTION. TITLE: Every work of art needs a good title! For example “1830s Cinderella” or “Red Wedding Guest” or “Alucard” or “Dolly Parton Goes To Ren Fair” etc. PHOTOS: Photos are VERY IMPORTANT and can make or break an entry! Outfits can be displayed on mannequins or dress forms, but photos of it being worn by a human are preferred! 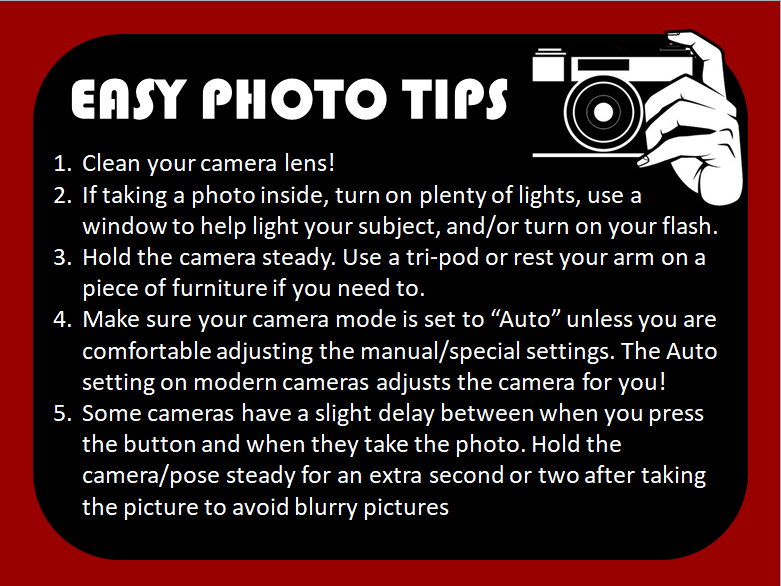 If you need some guidance for taking photos, click here for a few basic photo tips. Make sure you have at least one straight-on front shot so all the details can be seen! Include close-ups of specific details you are proud of like embellishment, process photos, alternate angles, etc. LIMIT OF 5 PHOTOS PER ENTRY, PLEASE! DESCRIPTION: Along with your photos, include a description of your piece. Tell us about what makes your entry special! Did you try any new techniques? Is it made for particular person/persona? Have you worn it to any events? If you ran into any problems you had to tackle, tell us how you solved them. Judges greatly appreciate construction details! Winning entries will have excerpts from their submission descriptions published on the blog. —> Be sure to give credit to any artists if you chose to reinterpret their artwork! If you can, please include a photo of the artwork and/or a link to the original source. The inspiration/reference image does not count towards your 5 photo limit. HAVE FUN! This is not something we want you to agonize over. This is to be a fun and inspiring challenge for you as a costumer to help you grow and express yourself. And if the entire thing doesn’t get finished? Oh well! Share or submit what you have! Limit of two (2) entries per person per challenge. Previous winning costume entries cannot be re-submitted. Costumes posted to Facebook will not be counted as part of the challenge—they must be submitted via email (shearmadnesscostumes@gmail.com) to qualify. Contestants can share the progress of their outfits on their blogs or on the Shear Madness Facebook page. However, please do not post entries in their final state on the Facebook page until after judging is complete. The judges will review the entries and the winners will be announced during the first week of January 2019. There will be 1st, 2nd and 3rd winners, as well as honorable mentions as chosen by the judges. Winners will be given a Shear Madness logo with their winning placement for display on their blog/website and will have their creations featured in the header on the Facebook group page! All submissions will have a photo featured on the Challenge’s final blog post. Group administrators and moderators have the final say on any rules for challenges and may update them as needed.